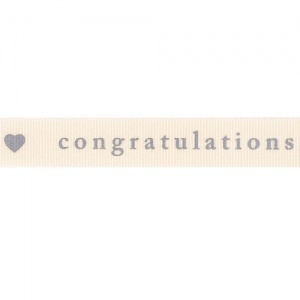 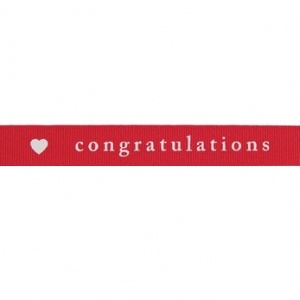 These reels of ribbon are 15mm wide and features a heart with the word "Congratulations" - great for weddings, engagements or celebrating special occasions with loved one. 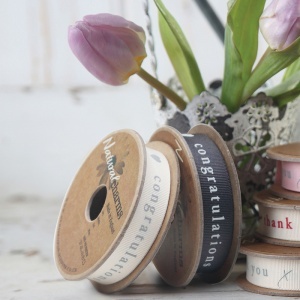 Each reel contains 4 metres, is 100% polyester and we're proud to say they are made in England. 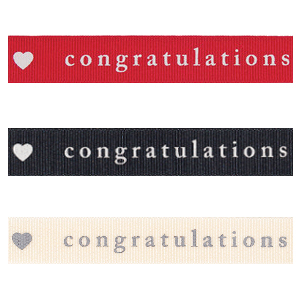 Choose from ivory on grey on a natural background or ivory on a red coloured ribbon.